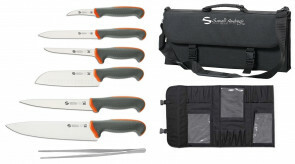 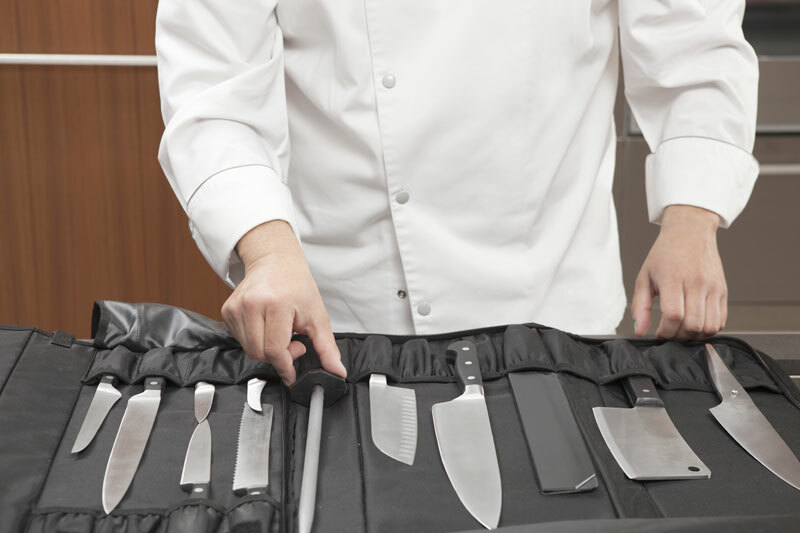 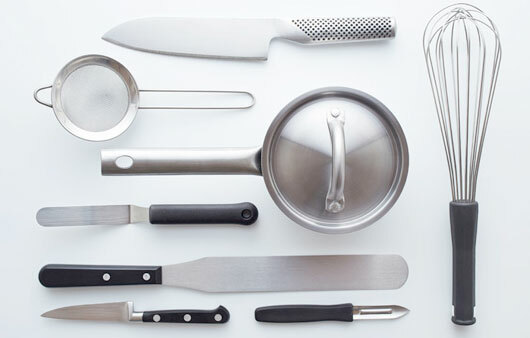 Chef's cases and sets for professionals wishing to own complete sets with knives and accessories, with excellent Italian quality Sanelli Ambrogio. 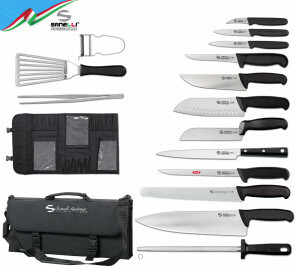 Sanelli Ambrogio is an Italian company that uses the best steel and careful processing in all stages of production, guarantee of a high quality product. 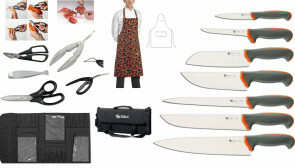 Grinding and final sharpening are performed by hands with precious craftsmanship experience. 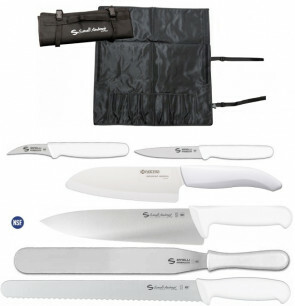 Leaving: Tecna case Complete with knives, accessories, apron and bandana.